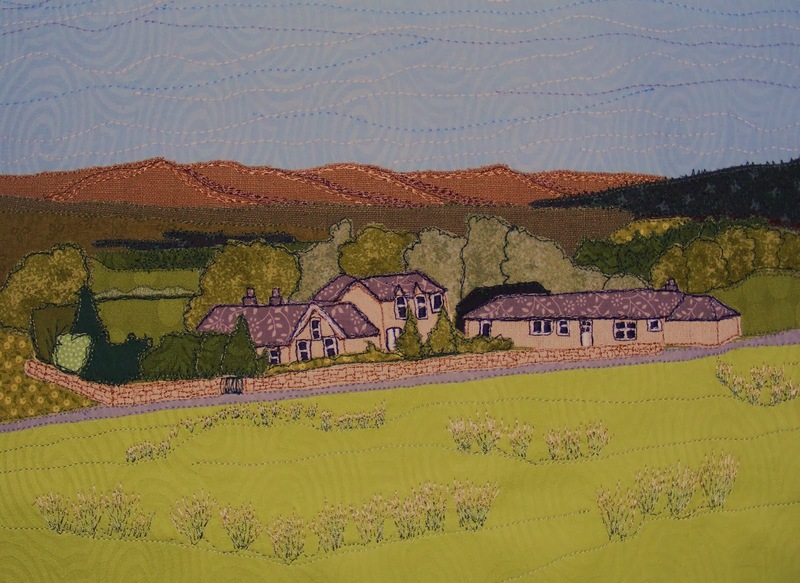 Last summer we went on holiday to the Scottish Borders and stayed in a gorgeous farmhouse called The Yethouse. Owned by a lovely lady called Barbara who lives next door it had the best standard of accommodation and furnishings we have experienced in a long, long time. Remotely set but within walking distance of the village, the house is right next to the Seven Stanes mountain bike trails and also a Rock UK centre offering a wide range of outdoor activities for all members of the family. Barbara's was delighted with the picture and it is now hanging in the Yethouse for visitors to see. If you are interested in commissioning a portrait of your home, favourite building or landmark, please contact me at sue@rubypatch.co.uk . 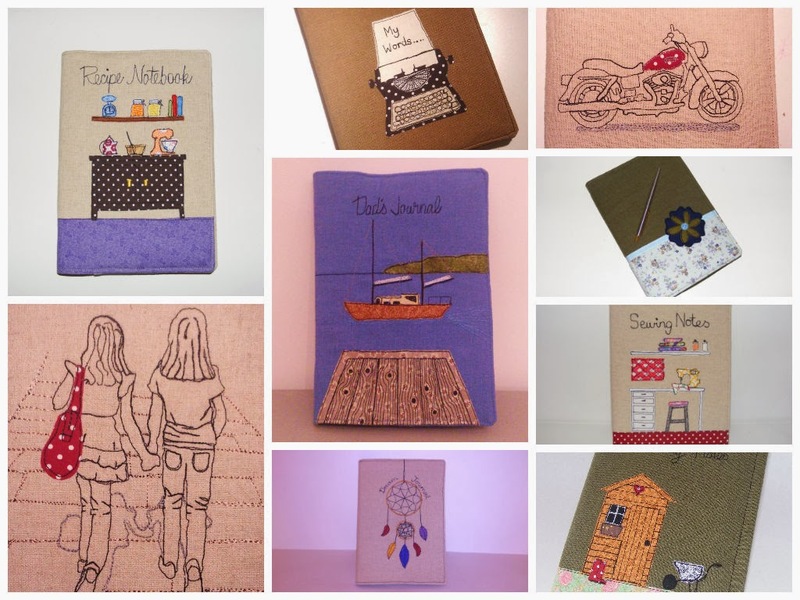 Embroidered Notebooks - Lots of stuff posted very late! Once again I have been guilty of neglecting my blog. No excuses, straight onto news! In the last few months I have been changing my products, introducing new ones and removing some old ones. Over the last year it has become obvious that my most popular ranges are the notebooks and framed pictures. I have therefore been concentrating on these and phasing out some of the less popular (and smaller) items. Here's a little collage of my most recent notebooks. I'll post more about them and in more detail later. Many of my notebook designs are bespoke. They allow me to product new original designs and this keeps me interested and also gives me the patience to produce my standard lines (gardening, recipes, sewing and travel) without getting too bored! You can find my notebooks and artwork for sale via my Etsy shop , my website or on Make the Most of.